The Fables of Jean de La Fontaine were issued in several volumes from 1668 to 1694. They are classics of French literature. The Fables supply delights to three different ages: the child rejoices in the freshness and vividness of the story, the eager student of literature in the consummate art with which it is told, the experienced man of the world in the subtle reflections on character and life which it conveys. The Fables were regarded as providing an excellent education in morals for children, and the first edition was dedicated to the six-year old Dauphin, the Eldest Son of the King. Eventually the fables were learned by heart for such entertainments and afterwards they were adopted by the education system, not least as linguistic models as well. Most famous Fables are « The raven and the fox », « The frog that whished to be as big as the ox », « The city rat and the country rat », « The wolf and the dog », « The lion going to war », for example. The Fables were adapted from the classical fabulists like Aesop. The subject of each of the Fables is often common property of many ages and races. 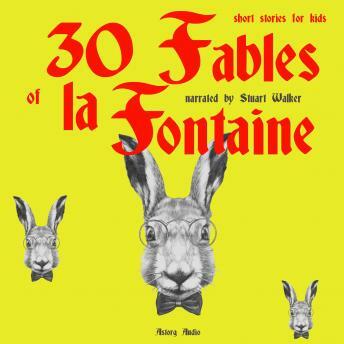 What gives La Fontaine's Fables their rare distinction is the freshness in narration, the deftness of touch, the unconstrained suppleness of metrical structure, the unfailing humor of the pointed the consummate art of their apparent artlessness. Keen insight into the foibles of human nature is found throughout, but in the later books ingenuity is employed to make the fable cover, yet convey, social doctrines and sympathies more democratic than the age would have tolerated in unmasked expression. Almost from the start, the Fables entered French literary consciousness to a greater degree than any other classic of its literature. For generations many of these little apologues have been read, committed to memory, recited, paraphrased, by every French school child. Countless phrases from them are current idioms, and familiarity with them is assumed. "La Fontaine's Fables," wrote Madame de Sévigné, "are like a basket of strawberries. You begin by selecting the largest and best, but, little by little, you eat first one, then another, till at last the basket is empty".